Last year I took part in #Blogtober17 as a fun way to try to write more posts, more quickly and try to free myself from the “paralysis of perfection” that was stopping me from getting things done. 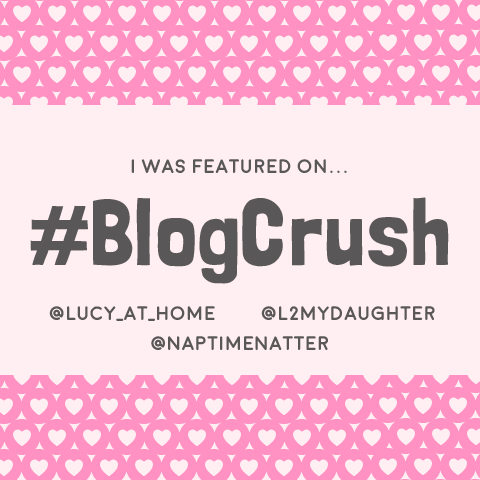 I didn’t write a post everyday (way beyond my possibilities!) but I did manage to write around four or five new posts in the month and linked up a few old posts that fit in with the themes, so overall I was quite pleased with that. So this year I’ve decided to join in again with #Blogtober18 with the aim of writing six new posts this month. I think that’s a reasonable and achievable expectation for me. 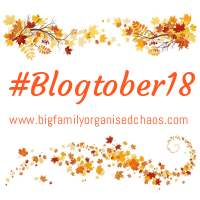 The linky is run by Mandi at Big Family Organised Chaos and in this link you can also find her list of themes for each day of the linky, although it’s not compulsory to stick to the themes. So one year on, what has changed? Obviously, the big change is that I am now pregnant again! That’s something I would never have imagined a year ago. Currently at 26 weeks, the due date is January 2nd, and we are busy preparing for a baby boy. Entering the third trimester already, I can’t believe how quickly it’s all happening. Here is my latest Pregnancy Update if you want to read more about that. that by about a hundred as that’s how much worse they’ve got. I also had coffee in my list of things that make me happy. That’s off the list for the moment – temporarily I hope. I went off coffee at the beginning of my pregnancy and I still just don’t feel like drinking it. Tea is good, though. Sadly, I’ve now used up all my supply of teabags from England and will have to rely on what I can find here! The rest is more or less the same as it was. Except this time I have just had a haircut, so I can’t say that I need a haircut right now! My mission at the moment is to try and organise my life in order to achieve a better balance and feeling of peace and harmony in the house and in my life in general, and also to help me become more productive, get more done in less time and be able to turn my blog into something more than just a hobby. I admit that so far I have not been successful in any of these areas! But I will get there, I will! Meal planning always seems to fall by the wayside, but this is such a key thing, I feel. I hate coming home from work at 4 in the afternoon and not having any idea what I’m going to prepare for dinner. I’m usually really hungry at that time, too. Sometimes my husband has prepared the meal, or part of it at least, which is always a great relief. However, if I can plan the week’s meals and prepare food in advance it would save me a lot of time, stress and money. I’m determined to get that sorted this week. It would then free up a bit more time in the evenings too. I will generally find any excuse to avoid cleaning! Maybe with a little extra time I can at least persuade myself to clean the kitchen and even other parts of the house a bit more often, and that will contribute to the general harmony and wellbeing of our household! If I can make time for just half an hour to an hour each evening before I feel too sleepy to do anything I can dedicate this time to a different blog task each day. I already have a schedule, I just need to stick to it. Monday is for scheduling Twitter posts, Tuesday plan 3 or 4 Instagram posts for the week, Wednesday write outlines for one or two posts, Thursday create images and Friday for catching up with anything I didn’t get done. Saturday and Sunday mornings are for writing posts, that’s generally when I have the most free time. As I said, I just need to be disciplined and focused and stick to the schedule. Photo taken by Emma, my chief photographer! I was about 20 weeks pregnant here. I need to do some serious decluttering and sorting out of clothes and toys before the baby arrives because we just don’t seem to have enough room for everything. If we can better organise the spaces in the house that will definitely help. I think I need to read up on the KonMarie method! What I’m happy with is that Emma seems to be happy at school this year. Last year she started first grade of kindergarten (in Mexico that’s at three years old) and it was a struggle for her to adapt. You can read about that in Starting School in 9 Emotions - my first term as a preschool mum. This year, in Kinder 2, she seems to have adjusted much more smoothly. My hope is that her defenses have also adjusted and she will be able to stay healthier than last year and fight off all those colds and throat infections, etc that get passed around the school. Stories from Life Abroad - series launch - My story of how I ended up in Mexico. 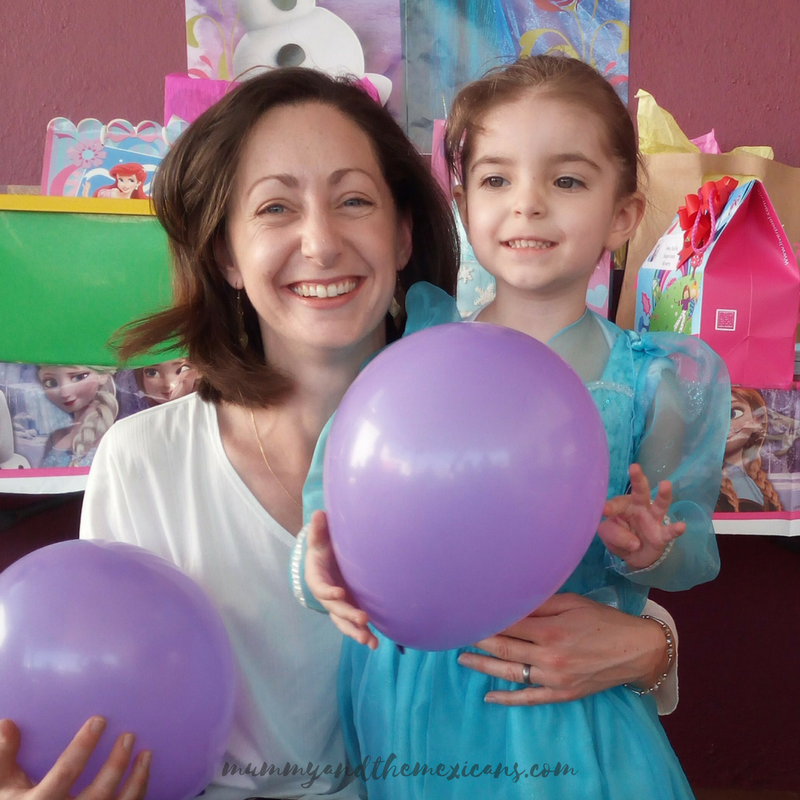 40 Things I'm Grateful for at 40 - on turning 40 last year. 10 Ways I can tell my daughter is truly Mexican! - on bringing up my daughter in Mexico. Congrats about the pregnancy. How exciting! I'm new to your blog, and found you via #blogtober18 - Massive congratulations on your baby bump! I totally hear you on finding any excuse not to clean too haha! Lovely to 'meet' you and congratulations on your pregnancy. Such an exciting time. I'm always struggling with cleaning, organising and meal planning too... the life of a mum hey!??!! Congratulations! I love Coffee too and I would be devastated if I couldn't have it anymore!